For the next 3 months the Innova store in Piata Unirii will display on 300 square meters a beautiful selection of the finest craftmanship work of Giorgetti while on the rest of space, 700 square meters, the normal Innova exposition will be visible. Maximum quality, aesthetical innovation, ability in processing and made in Italy are the historical prerogatives of Giorgetti, originally founded as an artisanal cabinetmaking laboratory in Meda, Brianza, in 1898. The company has always distinguished itself on the design furniture scene not only for the high quality of its raw materials but also for its tradition and manual skill that have not been lost over time, rather they have been updated and are open to new requirements and embracing technology as well. 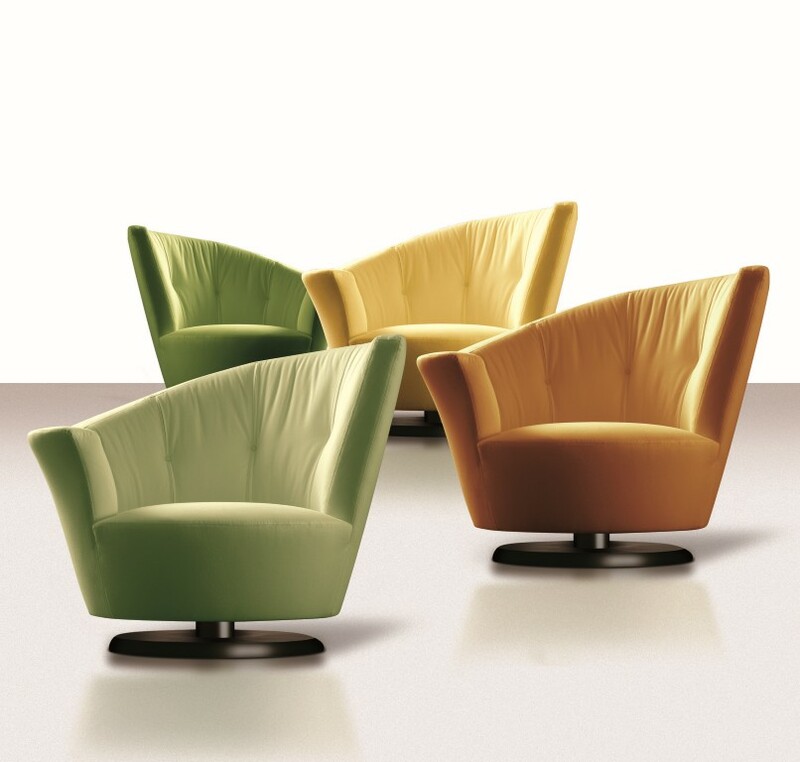 Giorgetti is at the forefront in researching quality products for its furniture. The cabinetmaking tradition, together with technological progress, established a heritage which is dependable and can be trusted to source and process the best materials. The indisputable protagonist of Giorgetti furniture is solid wood, a natural material and often the hidden core of its objects. A careful selection and attention to detail, made possible by a consolidated artisanal experience, become synonyms of a high intrinsic quality in terms of material and processing. Wood lets you create design pieces which, like in a high fashion atelier, through knowledgeable sartorial handiwork, are combined with leather, hide and precious fabrics dressed up like a made-to-measure dress. Giorgetti creations fully satisfy the concept of Made and Manufactured in Italy: starting from design, creativity and style, all the way to the real production, the entire production process is entirely made in Italy by highly qualified personnel who are exceedingly competent in the furniture sector. Moreover, the collections are known for their functionality and quality materials which guarantee a long life, as well as being made by production processes which are totally environmentally friendly. Giorgetti style is characterised by its exclusivity and atypical uniqueness: the aim to create original and recognisable collections was the prerequisite which led the company to collaborate with professionals – architects, urban planners, intellectuals, artists – who had never considered designing furniture. A brave initiative which started at the end of the 80s and continues today, imparting an exclusive design to Giorgetti‟s pieces. This choice is accompanied by a shared ideal that both the company and the designers fully embrace: to create “timeless” objects which never go out of fashion. Every year new unique pieces are presented and are immediately recognisable. A Giorgetti piece can be compared to a work of art which is able to stand the test of time, without ever seeming outdated. Furniture, bookcases, beds, chairs and wing chairs, low tables, sofas and accessories: a production which is intended for those who want objects that have substance, something different and not easily copied. Giorgetti furniture knows no limits with regard to space and is appreciated by a cosmopolitan clientele. This denotes the international vocation which has been a feature of the company since the 20s, when it began exporting to the United States. Today, internationalization is an integral part of the company‟s strategy. The aim is to increase the presence of the Giorgetti brand on foreign markets through a select network of local retailers and distributors, as well as with the new strategy of exhibiting the pieces in private spaces, such as the Giorgetti Atelier, where architects and specialists can examine all the collections in a residential setting. Giorgetti is like an art and history gallery of made in Italy, with design, manual skill and over a hundred years of tradition, a standard on the furniture sector scene.